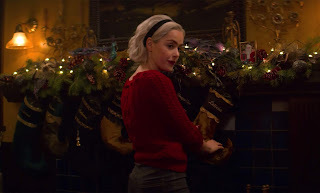 A Midwinter’s Tale is, depending on your point of view, either the eleventh episode in the first season of The Chilling Adventures of Sabrina or the series’ holiday special. 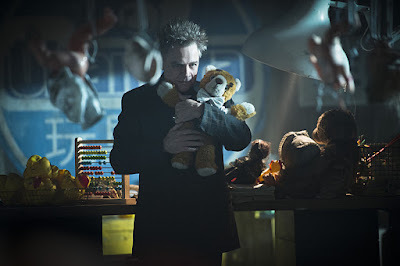 It continues the plot of season one while adding the usual seasonal tie-ins you’d expect from a genre show’s Christmas episode. First, a little about the series as a whole, since I’ve got a few things I want to get off my chest. It started out extremely promising, pulling in elements from John Hughes and 50’s Americana, then blending that with surprisingly dark horror elements. It was never great, but it was intriguing… for a couple episodes. Then it did something I didn’t expect. 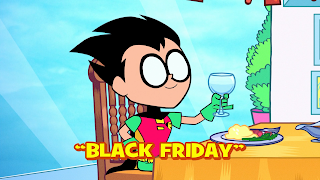 In case you're not a cartoon aficionado, Teen Titans Go! is a wacky comedy starring highly stylized versions of the characters from the original Teen Titans show. It's much, much sillier, and has no or next-to-no continuity. 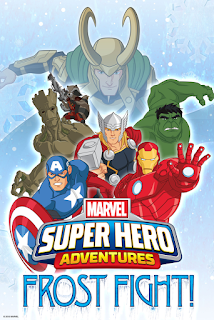 It is not connected to the previous shows Young Justice (a serious action show about young superheroes) or Batman: The Brave and the Bold (a mix between wacky tropes and serious superhero action), or the current show Justice League Action (mostly comedic superhero action). Erin covered some of the mixed feelings we, and many fans, have about this show. I'll only add that I am personally inclined to give this a good deal of leeway. 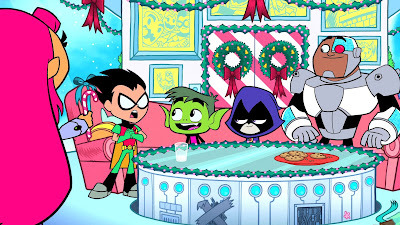 I loved the original Teen Titans, but I also like having the option of complete zaniness. Anything that punctures the self-important grimdark that has recently been a big part of DC comics is a good thing. Okay, on to the episodes! Christmas With the Joker, the second episode made of Batman: The Animated Series, is something of a guilty pleasure. I know there are some fans who consider it among the series's worst, but I love the episode's spin on the Joker. There's something both endearing and unsettling about his attempts to crack jokes involving destruction and danger. We see him playing more in this episode than we ever would again, poking at Batman with jokes only he seems to understand. Over the past few years, DC Collectibles has been producing six-inch figures based on the show. Last year, I was pleasantly surprised to see them add a version of the Joker from that episode. 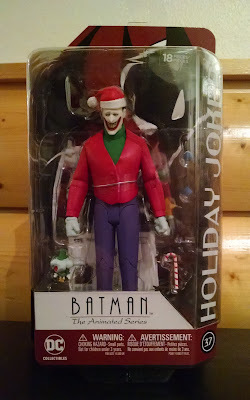 It's branded "Holiday Joker," despite the episode's name having "Christmas" in the title (quick! Call Fox News!). I ordered it and waited, hoping to get it in time for a Christmas review. Unfortunately, I missed it by a few days. Oh, well - there's always this year. 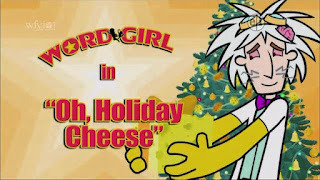 If you like crazy Christmas stuff the way we do, or if you like zany superhero/magical girl hijinks, you should probably go ahead and see if you can find a copy of this on YouTube. This was a ton of fun. 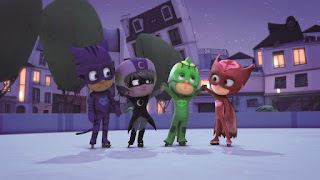 Miraculous (for short) is a CG show from France about two superhero teenagers. Marinette is an aspiring fashion designer, and she transforms into Ladybug. Adrien is a young fashion model, and his superhero identity is Cat Noir. 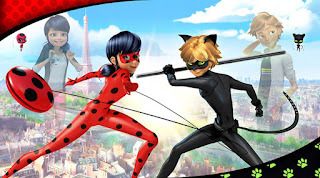 They don’t know each other’s secret, which leads to a classic secret identity plotline where Marinette has a crush on Adrien, but Cat Noir has a crush on Ladybug. Their powers come from little (alien?) creatures and are channeled through items known as the Miraculouses: Marinette’s earrings and Adrien’s ring. There is a villain (Le Papillon in the original French) who wants to steal these items. In each episode, the villain senses someone feeling a strong negative emotion (anger, fear, jealousy, etc.) and sends an evil butterfly to possess them. 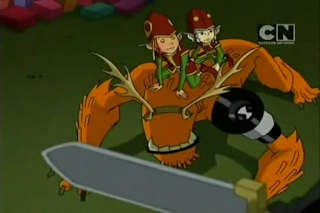 This is one of those times I stumbled across a few Christmas episodes while watching a series. 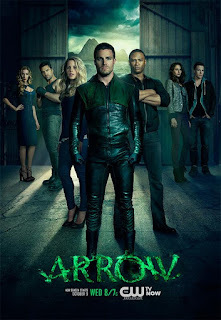 I saw Arrow's pilot back when it originally aired. I actually liked it quite a bit on its own merits, but was underwhelmed by the move away from comic book tropes. 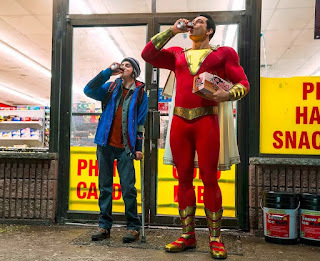 It felt like a really good dark and gritty take on a superhero origin, but I'd kind of had my fill of those. I decided not to follow it but to pick it up later if I heard it was worth it. What actually got me back on board was The Flash, which was much more in line with what I wanted from the genre. A handful of crossovers convinced me Arrow would head in a more interesting direction given time. Besides, like I said before, the pilot was actually quite good for what it was. 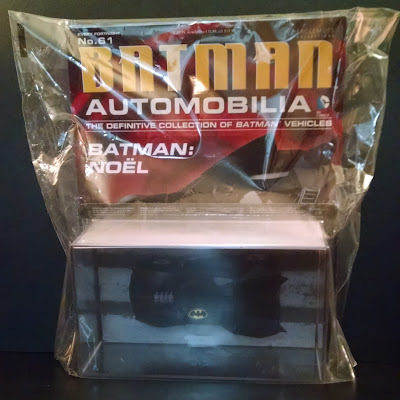 Eaglemoss Collections has been producing a line of die-cast Batman vehicles for a while now. 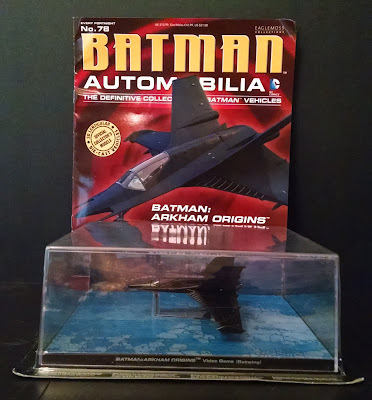 I own a handful I've picked up over the past two years to supplement my collection of Batmobiles. This one's getting special attention, however, because the design is lifted from the story, Batman: Noel, a re-imagined version of the Christmas Carol which wedges the Dark Knight into the Scrooge role. I'll get back to the car in a moment. First, it comes with a very short magazine. It's only ten pages long, counting the four-page fold-out in the middle, but it's heavy stock. The content is intended to provide both information about the car itself and the context of the character at the time. Watching Christmas episodes in context is a very different experience than tuning in for just a seasonal outing. 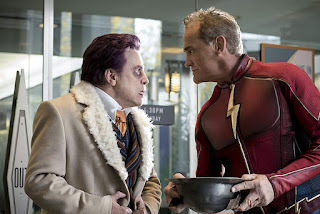 Unlike most of what we review on this blog, The Flash is a show I watch religiously - it's a fantastic program that delivers classic superhero adventures on the small screen. If you're a comics fan and you're not watching, you owe it to yourself to get caught up. This is one of the best. I talked about the first Flash Christmas episode last year. 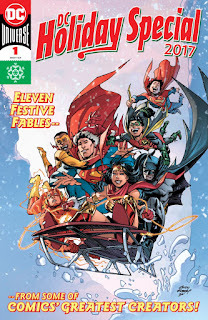 Like that one, this primarily exists because the show unfolds in real time, and Central City - like everywhere else - celebrates the holidays. That doesn't mean they didn't go all-out for Christmas, though: even for a series where a psychic gorilla has a recurring role, this one just pushed the limits in terms of genre tolerance.